Is Bill Me Later Worth It and Does It Make Sense as a Credit Option? Does Bill Me Later Really Work? 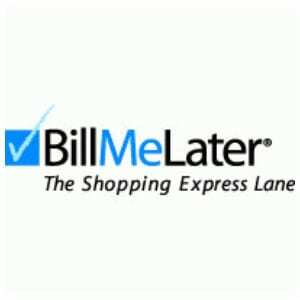 Bill Me Later is a line of credit that you can apply for and get from PayPal so that you don’t have to pay for a purchase all up front. Like any credit offer there’s got to be a catch in the form of interest payments if you don’t pay off the item in time, so let’s look at the fine print and see if this makes sense as a credit option. PayPal will give you the Bill Me Later option on just about every transaction you try to do, from the biggest to the smallest. In many instances you have to switch from the Bill Me Later button to the option that has you using your current PayPal balance or credit card. So they definitely push it heavily, and it makes sense for them to, since it likely makes them a small fortune in interest when users don’t pay on time when the payments start becoming due. The claim of the Bill Me Later option is that you’ll have more purchasing choices than just having the money come out right at the point of purchase. They’ll give you more time to pay, but the catch is that if you don’t pay off the balance in the time they give you you’re going to be charged a pretty hefty interest rate of 19.99%, and the kicker is that it’s retroactive from the time you make your purchase. As long as you pay it off in the time frame they allow you won’t have to pay any additional interest and it’s the same as if you would have paid for the purchase up front. PayPal is able to push and promote this payment option all over the web, so you might have seen the Bill Me Later logo at lots of different places where it’s accepted. They’re the number one online payment system in the world, which provides them a lot of leverage with which to promote their various features and services. Familiarity is one way that marketers use to get you so used to a product or service that you almost take it for granted and it just becomes a normal part of your world. The cost of Bill Me Later can range from zero to several hundred dollars depending on what you purchase with it, and whether or not you pay off your balance before the window closes. This is because they don’t charge interest during the time specified, and this time will vary depending on what you’re buying and how much it costs. If that time expires and you still have a balance remaining, they’ll charge you 19.99%, billed back from the time you originally made the purchase. That can add some serious charges to an otherwise reasonable price for a product or service. You’re committing to the terms and conditions as stated in the Bill Me Later agreement, and you’re opening a new line of credit that can show up on your credit report if you don’t pay as agreed. You’re also committing to making the minimum payments as specified in the agreement when you first authorize it. Bill Me Later has taken some criticism for being higher than the national average in regards to the interest rate they’re charging. But when you consider the fact that they’re giving you more time to pay for an item without incurring those charges it’s kind a moot point. It should be used as a way to get what you want now, and pay for it with money you’re expecting within the window they’re providing. So if you have a lump sum of cash on its way, let’s say from an income tax refund, and you want to buy and enjoy a product now, you can use a service like this and simply pay it off when the refund comes through. If you let things lapse past the time they provide then yes, it’s going to be like you’re paying a 20% premium on the purchase, which is the opposite of getting a deal on it. There are very few instances where it would make sense to pay one fifth more for a product just to have it a month or two sooner, so this really only makes sense if you’re absolutely sure you’ll be able to pay it all off before the interest is applied. Bill Me Later is getting our Solid Try review, as long as you understand what it entails, and what you’re risking in order to use it. There may be better credit options out there, especially if you have a good credit score and profile. You simply can’t beat paying off something later rather than now, especially when you can see the money coming but want to have something now. At the same time nothing is worse than paying more for something just because. So there’s a fine line between this being a great service, or a great disservice, depending on how well you put it to use for you. If conditions are perfect, then give it a go. Perfect conditions would entail that the money to make the purchase is on its way to you but you don’t feel like waiting to make the purchase. All that is then necessary is to put the money that was designated for the purchase toward the remaining balance and you’re all set. Sometimes things don’t work out exactly like we plan, and that’s when this can get you in trouble. What do you think? Does Bill Me Later work or not? I’m a Business graduate and when I was in college we spent a portion of our education researching and analyzing companies that appear to offer convenience and a fabulous deal, but get you in the end with hidden fees and interest rates. Bill Me Later is no exception to this category. Looking from a business owner’s perspective: how else will Bill Me Later make money and thrive as a company unless they have higher interest rates and various fees? It becomes a necessity in order to survive and in the end, the consumer is the one who will suffer financially. Bill Me Later is a really good idea if you have a solid plan to make payments, and a backup plan in case your first plan fails. PayPal is definitely the safest way to pay in my opinion, and the Bill Me Later option just adds one more layer of convenience. Usually PayPal purchases are items that aren’t necessarily life-and-death, so choosing the instant gratification route means that PayPal is not out of line with the interest rate they charge if you don’t hold up your end of the bargain. Like I said – it’s a convenience, and lots of conveniences come at a price. Glad to finally read a review about Bill Me Later! That’s so true that seeing it all the time has created a sense of familiarity towards it. Several times when checking out with Paypal, I was almost going to try out the Bill Me Later option because of the $10 they offer. Now I see that “free” $10 comes with an almost 20% interest charge if you miss a payment. See, my problem is likely not that I won’t have enough to pay them back, but that I’ll forget. For someone who is very disciplined…only spends what they know they’ll be able to pay back, and has an easy time remembering things…I think this service would work well for them. But for the average shopper, I think this is a service to pass on. I’ve had PayPal for years. PayPal is a great. I’ve noticed lately when I check out you get the BillMeLater option popping up before you check out every time. It is annoying to see the BillMeLater option come up when you are purchasing a product that is ten dollars. Who would use BillMeLater for ten dollars? I think they need to have a limit on the option for at least fifty or a hundred dollars. I’ve never used the BillMeLater option as if I don’t have the money for something, then I just don’t buy it. I would hate to think that the interest rate would be as high as claims. Yeah I agree with you, Rhonda. It’s like another way to get more money out of you by allowing you to pay for something you didn’t have the money for. I also agree that if you don’t have the money for something then you probably shouldn’t be buying it in the first place. Especially if you’re going to get charged more later on anyway. It just sounds like PayPal’s way of putting you into debt and profiting from it as well. I love using PayPal but this additional service they offer is way too risky and not worth in the end anyway. Credit is a funny thing. Sometimes buying something through Paypal’s bill me later option is smart even for a small purchase, if you have the intent of building up your credit with PayPal. In other words, buy something for $20 one time, $40 some other time, and pay them off right away. Then theoretically, you would be more likely to be considered for a larger purchase – say a vacation to Paris? I am not sure if they actually offer that option for something that expensive, but it would be pretty cool if you only had half of the money saved for your dream vacation, but found an amazing deal that you had to act on. I guess Bill Me Later from Paypal is a great option if you have poor credit and all of your credit cards have been maxed out. But other than that, I really do not see a reason to use it. Why not just purchase something using your credit card instead if you have that option? If it is a rewards credit card, you can reap the benefits of using it and paying it off on time, and you do not need to worry about high interest rates from yet another credit company, which can make it even more difficult to keep track of your debt and pay it all off in time.